Taking a seasonal approach to your Teezily Campaigns is fundamental. By building dynamic, fresh content on your store (or Facebook page) relating to Mother's Day and similar events, it's easier to channel traffic and secure conversions. This kind of tactic can really help improve brand awareness and search visibility. In addition, the high pressure environment of last-minute gift shopping which goes on around these events, means that buyers are ready to click and buy, so they just need a nudge in the right direction. Luckily, we have some precious insights to share with you! The goal is to draw your (potential) customers’ attention to your best products and to increase your visibility. Even if your products don’t typically fall into the Mother’s Day Gifts category, use your research to appeal to your shoppers. For example, a campaign about yoga can represent the perfect gift for a yoga-mum! We also remind you that Teezily offers you the opportunity to fully personalize your store by adding banners along with special sections & categories. Strictly related to the above-mentioned insight, you can stress in your store’s banner that you are offering a special promotion for this day: for example, “One-third off hoodies for Grandmothers”. Even if your shoppers were not necessarily looking for an hoodie, this could sway them towards that particular gift idea. (Keep in mind that some mothers prefer shopping for themselves. Think about targeting this audience with a month-long “just for moms” promotion!). You might want to check our video tutorial about discount codes! As an eCommerce seller, you should take complete advantage of the power of keywords. “MOTHERS DAY GIFTS” would be the simplest and most used search term a few days prior to the day. By leveraging specific keywords you have a high chance of increasing web traffic to your campaigns, and as a result more sales the short term. 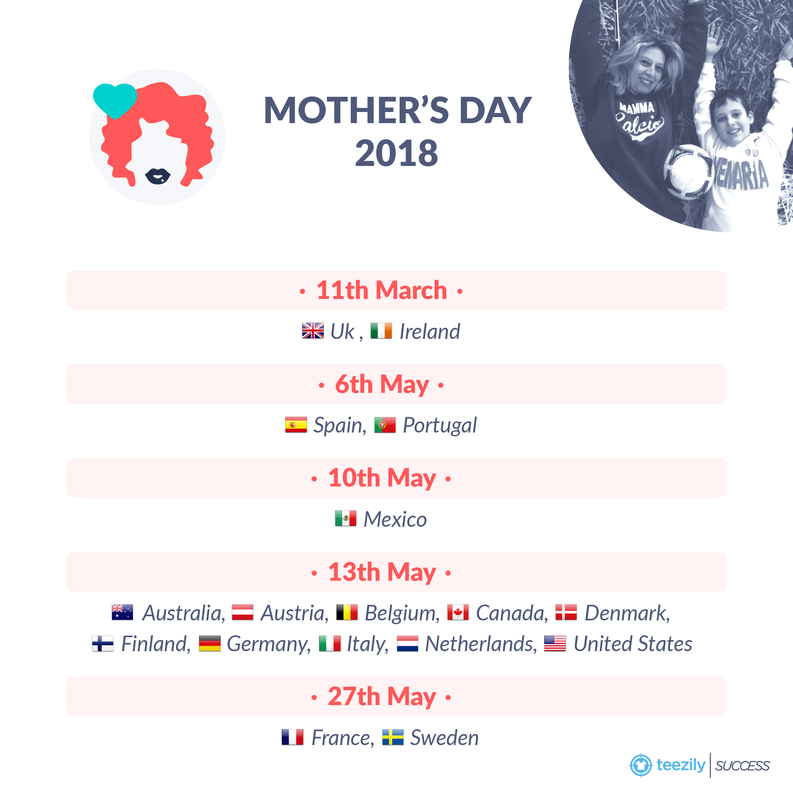 For example, during Mother’s day, while “Mothers” and “Mum” showed up in 36% of keywords, there are 64% support terms that included: “ideas”, “best”, “unique”, “cheap” and “wife”. Did you know that “Cheap Mother’s Day” gift is searched over 3000 times/ month? Here are few sample search terms that are trending and could help you to target your international audience. We definitely know that Facebook represents your first, and favorite choice in terms of advertising. Indeed, you are doing it well! However, we suggest that you test and explore other social networks in order to get your buyers’ attention during these kinds of events. We are referring particularly to Instagram and Pinterest, two platforms where people are constantly looking for gift inspiration. So, create your board and, again, make a wise use of strategic key-words! We also suggest that you motivate and involve your community. 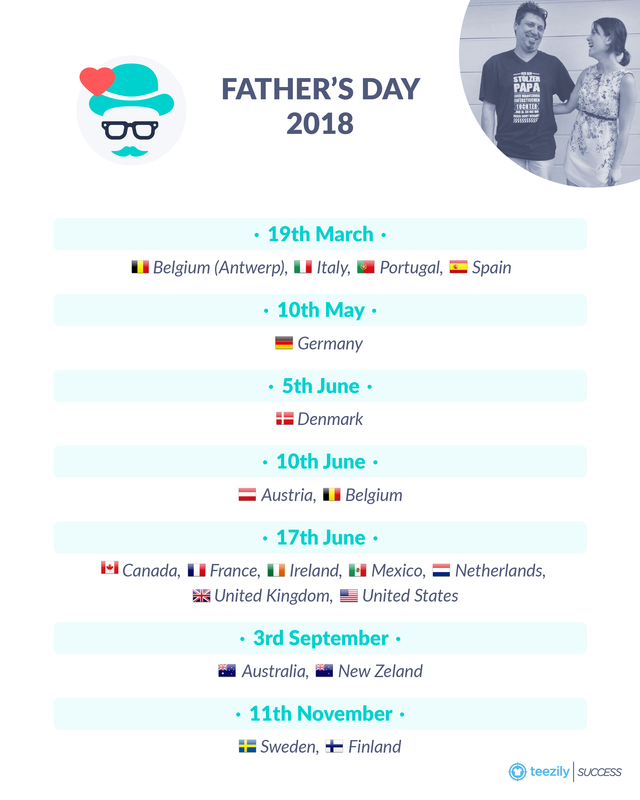 Engage with your customers / followers through asking them to share information relating to the special date ie: what is the best advice your Dad ever gave you? What is the best gift your mum gave to you? Contests are also a great way of encouraging interactions and driving traffic to your campaigns, you should consider the idea to offer a free item to the winner. Make sure to use appropriate, trending hashtags when necessary and do not forget that pools are also a very effective marketing tools (and can also inspire your new design ideas!). You should be fully aware that this feature represents a game-changing tool during these kinds of events. People are looking for special, unique products to offer to their loved ones in order to impress them... well, what could be a better gift than a product with a custom slogan / dedication? Therefore, we strongly suggest that you give your buyers the opportunity to add up to three custom texts to your design. Personalised campaigns can increase your sales by up to 24%! "Message buyers": share the love! Promotions on mom’s/dad’s dream products. Mother’s and Father's Day are celebrations that go beyond the fun / scary messages of Halloween or the romantic quotes of Valentine’s Day. A UK marketing agency found Mother’s Day messages with emotional content converted better than product—or incentive—focused emails. So, in order to stand out from your day-to-day messaging stream, you should consider adding special quotes about parenthood and be more empathetic to your customers! Upsell feature: the secret to winning more sales! So here's the thing: your customers are looking for a special gift for their mums, but what if they found the perfect matchy product for their dad as well? Like two matching mugs, or two T-shirts with the same slogan. Two clicks for two special gifts, and no need to struggle to think of gift ideas for their father in two months. Sounds great, doesn't it? You should definitely explore and use the "Upsell feature" in order to promote more products and increase your revenue, check this tutorial for more information. Last but not least... take advantage of the BEST base prices in the market! 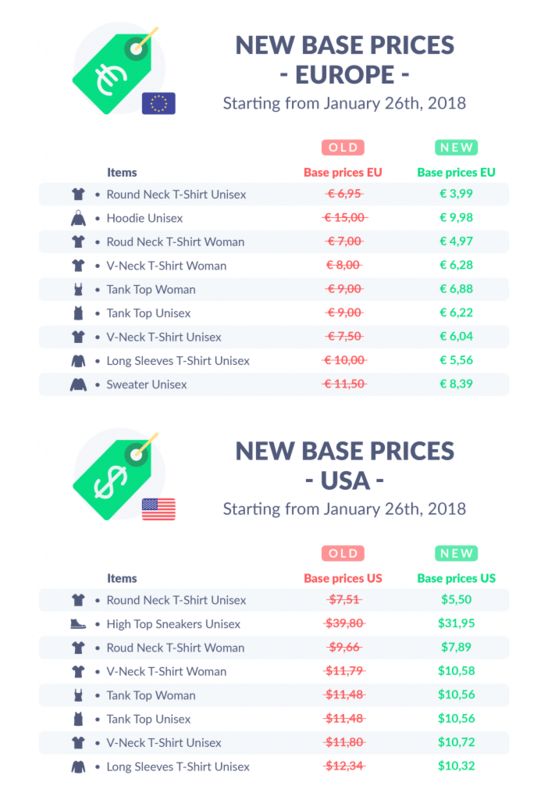 We kindly remind you that we have recently introduced our new base prices, the cheapest you can find! For products shipped to Europe, you can earn up to €2,95 for Round Neck T-shirts and €5,00 for Unisex Hoodies. Read our article for more information about the new Teezily pricing (for an unlimited time folks!). Well, it's time to give a "family touch" to your campaigns : we ensure you that these special events will rock your POD business. Enjoy your sales ! That’s really a fantastic article for those who need to know how to sell their products in this two events. I Love this article very much. It’s really informative.